The medi® humeral fracture brace has been developed as an easy to use, cost-effective alternative to the conservative treatment of proximal humeral shaft fractures. 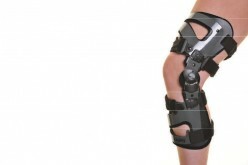 It was our goal to guarantee an early functional treatment with splinting of the fracture. The combination of a shoulder cap with the lateral strengthening in form of a brace should enable the patient to perform exercises while wearing the orthosis. The medi® humeral fracture brace is suited for the conservative functional treatment of proximal dislocated humeral shaft fractures when sufficient compliance and the presence of local factors like an external guidance on the part of the soft tissue muscle sheath is provided. It can also be considered for after-care following surgical treatment.